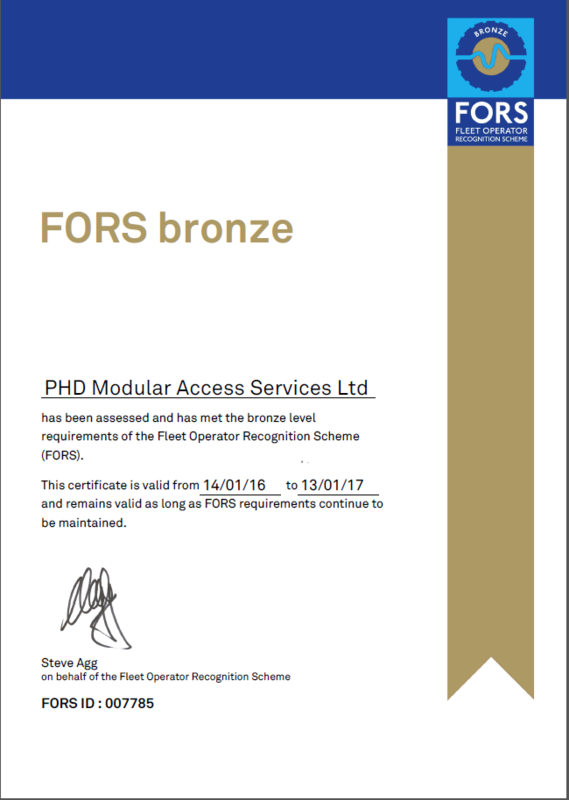 PHD are very pleased to receive FORS bronze. This is a step in the right direction, when PHD noticed an increase in clients requesting it as a contractual condition when delivering to their sites. We currently only used FORS credited Haulage on our sites and have now decided to move ourselves forward as a company and help develop our drivers and processes we use and to promote the best practice possible to our clients. Now we have set ourselves the target of moving forwards towards sliver, we aim to have this in the next two months. This part of the process is capturing the fuel MPG levels with the aim of cost saving 8% on company fuel usage over the next year.